Malcolm was born in Halifax, Yorkshire, England. When he was 12 years old, his family emigrated to Canada and settled in Meaford, Ontario. He came to know the Lord when he was 17 through friends and the I.S.C.F. (a Christian fellowship group) in the high school. 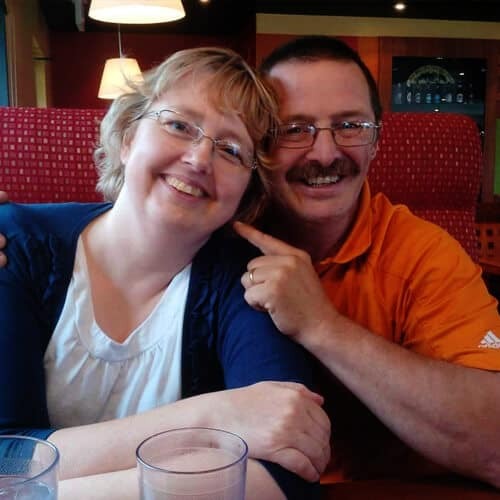 Lois was born into a Christian home in Timmins, Ontario. She and her family moved several times before settling in Clarksburg. When she was 7, her dad led her to the Lord. Malcolm and Lois met in high school and went on to Kawartha Lakes Bible College in Peterborough, Ontario where they graduated together. A year later, they were married. In September of 2002, God opened the door with Word of Life Canada to work full time on staff, with Malcolm heading up the maintenance department. In 2008, Lois began working in the food services department of the Bible Institute.